Though often used interchangeably, multi-cloud and hybrid cloud infrustructures have significant differences in the way they are utilized. "Multi-cloud" and "hybrid cloud" are often used interchangeably. While the two terms are related, they describe two distinct (but both important) concepts. Understanding the difference can help ensure the success of your overall cloud strategy or at a minimum keep you out of a semantical rat's nest. In a January 4, 2018, article on Forbes, Kelly Ahuja defines "multi-cloud" broadly, presenting it as an infrastructure encompassing "private clouds, SaaS-based applications, ERP, Salesforce, Office 365 and public cloud storage apps such as DropBox, as well as large-scale consumer cloud applications such as Google, AWS and others." By contrast, in a September 5, 2017, post on the Enterprisers Project, Kevin Casey distinguishes the terms, claiming "multi-cloud" describes a strategy, while "hybrid cloud" is a new type of infrastructure. Specifically, a hybrid cloud combines aspects of private and public clouds using orchestration tools to ensure the components operate as a single unit. The hybrid-cloud concept encompasses the entire DevOps cycle and supports continuous integration/continuous development (CI/CD). That definition fits well with what Morpheus finds in discussions with large enterprise customers. Multi-cloud initiatives tend to address the fear of lock-in and enable a business to prioritize "horses for courses" over "single throat to choke" whereby different applications or business outcomes may be derived from the best supplier at that point in time. Customers use hybrid-cloud to describe application architectures and scaling rules which could mix and match locality for a variety of business reasons. Of course, if you fixate too much on buzzwords, you lose sight of your goal: Finding the best cloud services for your organization's unique data and application needs. Multi-cloud comes with a built-in contradiction: one of the cloud's principal benefits is efficiency, yet there's no way managing two or more separate cloud services can be more efficient than managing a single service. So why complicate cloud management? The first reason you hear from many IT managers is their need to avoid being locked into a single vendor's offerings. In an October 26, 2017, article on Data Center Knowledge, Ruslan Synytsky explains that using only one cloud service seriously constrains your ability to adapt to changing conditions. As anyone in IT knows, change is the only constant. If you don't build flexibility into your cloud plans, you could end up facing a monumental data-migration project simply to switch vendors. Justice Opara-Martins, Reza Sahandi, and Feng Tian examine the problem of vendor lock-in from a business perspective in an April 2016 paper in the Journal of Cloud Computing. 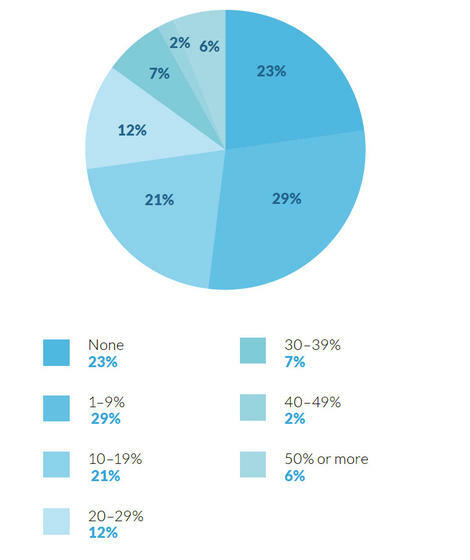 The results of a survey conducted by the researchers indicate that the primary causes of lock-in are the lack of integration points between various cloud management tools (cited by 47.7 percent of survey respondents), incompatibility with on-premises software (41.1 percent), and the inability to move their cloud data to in-house systems or to an alternative cloud service (31.8 percent). Sometimes, the decision to use multiple cloud services is taken out of IT managers' hands. A study by research firm Studio 61 published in an October 17, 2017, article on ZDNet reports that employees are now the single greatest security risk in private cloud and hybrid cloud environments, cited by 50 percent of IT managers as a "top security concern," followed by coarse-grained user access controls (41 percent), and lateral, or east-west, movement of advanced threats (also 41 percent). In most cases, IT departments have given up their attempts to prevent all use of unsanctioned cloud apps in their organizations. Employees are going to find their own ways to "get the job done," as the researchers state. The solution many companies have adopted is to "embrace and extend" their sanctioned cloud services to these employee-adopted offerings, despite the potential security risks. The Studio 61 researchers point out that this may indicate an overly optimistic approach by IT departments because they underestimate the scope of the shadow-IT problem in their organizations. After all, you can't track what you can't see. The only way for IT to have end-to-end visibility into their entire cloud universe is by scanning and identifying all traffic and apps crossing their networks. Then you can filter out unauthorized and suspicious sources. Anyone who adopts more than one cloud service can claim to be "multi-cloud." However, unless those separate clouds function as a single unit, all you've done is moved from one set of data silos to another set. The reason hybrid clouds continue to be the go-to cloud deployment architecture for companies of all sizes is the benefit of connecting multiple cloud services into a seamless, interoperating whole. The key to achieving this interoperability is the proper application of orchestration tools. Radhesh Balakrishnan, general manager of OpenStack at Red Hat, defines hybrid cloud as "[a] mix of on-premises private cloud and third-party public cloud with orchestration between these two." The Enterprisers Project's Guide to Hybrid Cloud adds that the mix may include on-premises infrastructure, virtualization, bare-metal servers, and/or containers. Kurt Marko writes in an October 2017 article on TechTarget that IT operations staff are less concerned about internal VM configurations (apart from the underlying OS) than they are about such instance details as the number of virtual CPUs, memory, network interfaces, and storage volumes attached. Most infrastructure orchestration software focuses on deploying new cloud resources rather than on managing the configuration of your existing VMs. 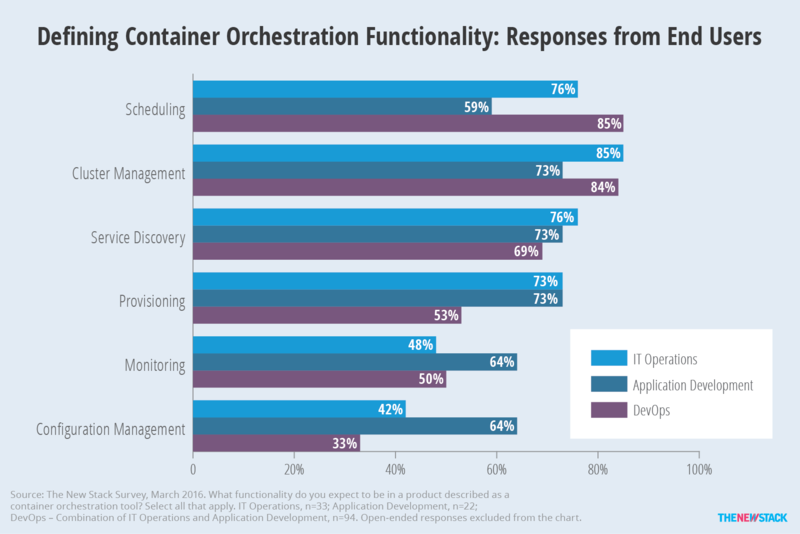 It is important to apply orchestration tools in a way that accommodates the different drivers of the ops functions: susiness, developers, and infrastructure. TechTarget's Alan R. Earls writes in an October 2017 article that the choice of orchestration tools usually comes down to provider-nativeofferings from AWS, Microsoft, Google, or IBM; or to third-party products. The mistake many companies make is in comparing the two options feature by feature. Success lies in identifying the specific cloud-management functions your hybrid setup requires. The consensus of experts such as Forrester principal analyst Dave Bartoletti is that multi-cloud management is served best by console-based third-party tools, although infrastructure vendors' own offerings continue to improve. Still, IT shops supporting hybrid clouds specifically and multi-clouds generally are served better by a single tool that integrates deployment and configuration tasks rather than by each cloud offering's native tools. If you thought monitoring and updating apps and data residing on a single public cloud was a challenge, wait until your data assets are distributed across three, four, or more distinct clouds. The scenario presented by Pete Johnson in an October 12, 2017, article in NetworkWorld will be typical: You write a text file on AWS S3 that triggers Microsoft Azure's text-to-speech service to generate an MP3 that is written to the IBM Bluemix object storage hosting your website. Reaching this stage of cloud interoperability will require that enterprises rethink both application architecture and automation tools. This sort of infrastructure agnostic deployment was at the heart of the original design center for Morpheus. As enterprise apps evolve they don't do it all at once. Rather, deconstructing apps into their component services and being able to incrementally modernize makes the process more achievable. This bite-size approach requires deployment tools that can span bare metal, VMs, containers, and eventually serverless functions while at the same time spanning multi-cloud strategies and hybrid-cloud deployments. With this many moving parts and unpredictability companies better invest in the right tooling. In this case, having a Swiss army knife merged with a transformer may be only answer. That... or what we refer to as Unified Ops Orchestration. Let us know if you'd like to set up a demo and discover how we can help you better orchestrate your own cloud... multi, hybrid, or whatever else you might want. Published at DZone with permission of Dennis O'Reilly , DZone MVB. See the original article here.